Following the initial driver test - in which Callaway's Epic Flash led the way - the second instalment of American Golf's Battle of the Brands challenge has seen TaylorMade's M5 & M6 irons top the table with an average distance gain of 10.2 yards following a series of testing from hundreds of customers. 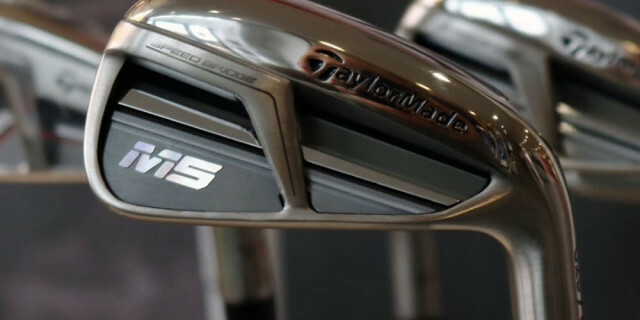 People were invited to test their current 7 iron against TaylorMade M5/M6, Callaway Apex, Wilson D7, Cobra F9 and PING G410 Irons. With nearly 400 testers taking part, the results were taken from a wide sample of golfers and showed that the TaylorMade M5/M6 led the field narrowly with 10.2 yards from the Cobra F9 with a 9.1 yard average. There were significant gains across the board, with every brand showing an average distance increase of over 7 yards. There were also stand out performances from the Cobra F9 with a biggest single increase of 67 yards and the Wilson D7 registering a monster 225 yard 7 iron for the biggest hit on the test, closely followed by a mammoth 217 yard strike from the PING G410. The overall winner of the Battle of the Brands competition also registered his biggest increase with the Wilson D7 irons and now takes home a full set, custom fit at American Golf. Battle of the brands is just one of several initiatives being run across American Golf stores this summer to get more golfers swinging clubs more often. Anyone can visit their local American Golf store and hit any club to work out that magic combination that will help them improve their game.